Image: Your Storm is Warm Waters, 2014, aluminium, approx. 400 x 88 x 8 cm (artist's impression). 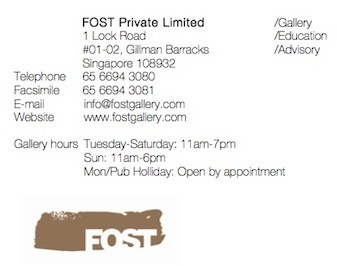 FOST Gallery is pleased to present Sookoon Ang at this year's Art Basel Hong Kong. Her films 1to9 and Exorcize Me have also been selected for inclusion in the evening film programmes curated by Li ZhenHua, director and founder of Beijing Art Lab.